The relationship between the sacoglossan Elysia timida and the ornate wrasse Thalassoma pavo was studied in two laboratory experiments using artificial models. A feeding-preference experiment was conducted to determine whether mollusc extract deterred feeding by T. pavo, by using a "realistic" mollusc model (imitating the colour pattern of E. timida) coated with mollusc extract, and a reference model (without imitation or extract), and fishes collected from two locations. It was observed that fish approached, attacked and ate more reference models than mollusc models. A second feeding-preference experiment was designed with four different coloured models: "realistic" (W), green (G), red (R) and chequered (S) pattern. Both fish populations clearly rejected the S model, and differed in their colour preferences. Although both populations seemed to prefer the R and G models equally, the W model was clearly rejected by the fish that coexist with the mollusc at one site (Mazarrón), but was not rejected by the other population of fish which does not coexist with it (Cabo de Palos). 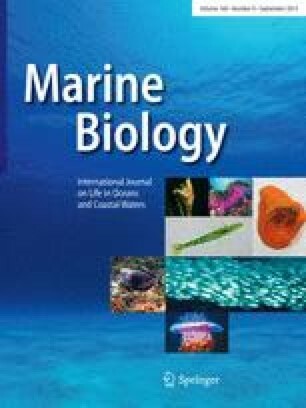 Mazarrón fishes would identify the W model with the presence of a toxic compound during their coexistence, and therefore avoid attacking conspicuously coloured E. timida models as a response to their visual signals. Therefore, it was concluded that extract of E. timida is a deterrent for T. pavo, and its effect is sufficiently noxious that the fish tend to avoid it, so that the ability of the fishes to learn to recognise colours and identify certain colour patterns associated with obnoxious prey provides the molluscs the opportunity to survive by exhibiting a conspicuous coloration.